One of the most basic qualities human beings possess is peaceful mind. Everyone is looking for it, and some even think that it will only be found at the end of our life — We say, “Rest in peace.” Peace is as fundamental to us as wetness is to water, and desire for it is universal. Everyone wants the same thing. Yet we continue to face personal and global warfare ending in results that nobody wants. If peace is so fundamental, why doesn’t it manifest all over the world, and in ourselves? This year the International Day of Peace aims to show support to refugees and migrants around the world. It aims to supplant the cynical scapegoating of these populations, often by misguided individuals and political leaders in times of insecurity, with the message that all of us and them must achieve our full potential. Otherwise we are all diminished. The messages of fear and hate come about because ultimately those who generate them do not feel good in themselves. They do not feel their own peace. Because people do not feel good in themselves, they often project their personal impoverishment on others. They think, “They should have less so that I (we) can have more.” This view has always been outdated, but never more than now. The International Day of Peace is a reminder of the necessity to develop peace at all levels. Through meditation and action, we can understand the fundamental notion of peace and goodness in ourselves right now. This will create the strength whereby we will help ourselves and others simultaneously. Peace is real and realisable, and to become confident in this is to overcome fear. There is a saying, “Practice meditation as if your hair were on fire.” The situation is critical and we better do something about it right now! Whole nations accomplish extraordinary achievements in short periods of time when they go into war mode. Individuals accomplish the development of peace when the realise their hair is on fire. What should each of us do right now? At home, at work, at school or on the beach there is one place where we can begin. That place is found in the saying, “Generosity is the virtue that produces peace.” Generosity means to let go, to give, and give without expecting anything in return. That’s where individual and collective peace is found. Let go and give generously as if your hair is on fire could be the collective rallying cry. Let go of this “me” and think of the other, as if your hair is on fire. There’s a lot of energy in peace! Letting go and giving probably requires the help of a meditation training ground. 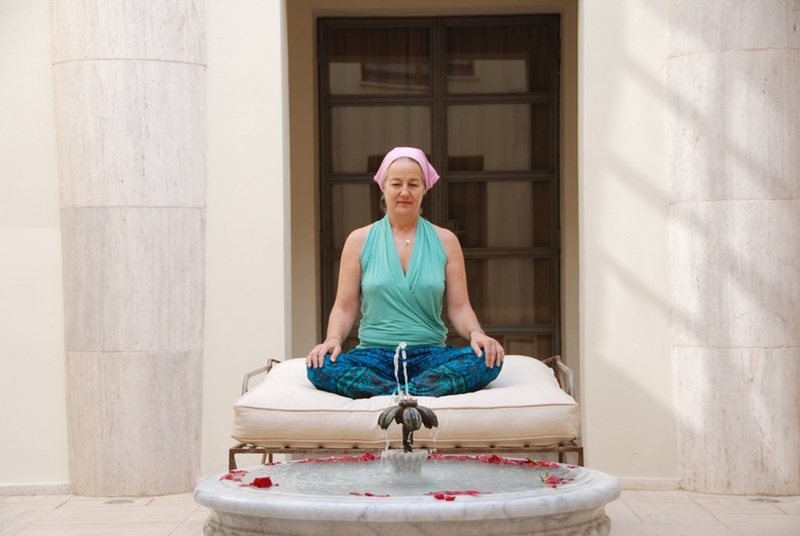 Join us on a meditation retreat this New Year in Morocco and learn to practice peace.